First I want to talk about Internet Karma. You need to understand that helping your fellow bloggers only helps you. When you tweet out a link to a friend’s post that especially made you laugh, your twitter following sees you and thinks: ‘Hey she’s sweet and cares about others.’ And those same followers might read something you’ve recently written that was poignant and they think.. hey I’m going to share this with people I know. That’s what Stumble Upon is for. When you ‘thumb’ a post you share with the Stumble Upon world something you love. I do stumble/fave my own posts, sparingly. 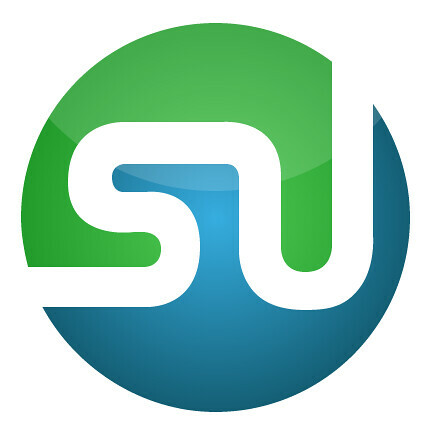 Second, Stumble Upon can act like a social media portal as well as a bookmarking source. Once you have a handful of Stumble buddies you can click your far left Stumble button on the toolbar and click through posts and articles THEY have given a thumbs up to! Did you know you can Stumble a photo? You must first click the post title of the article so you are on the permalink to the post and NOT the homepage. Then if you have downloaded the Firefox toolbar, you right click the image and then click stumbleupon photoblog it!